BEST WATER VIEWS in BellaTrae! 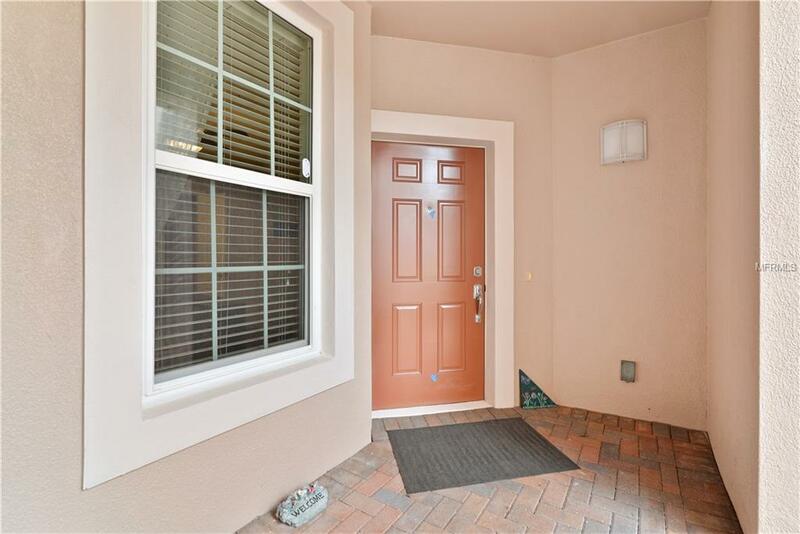 This well cared for, condo is a Heron floor plan with 1,438 sqft. and WEST facing lanai to watch gorgeous sunsets. The property offers 2 bedrooms, 2 baths, Den (also could be a 3rd bedroom) and 1 car attached GARAGE. 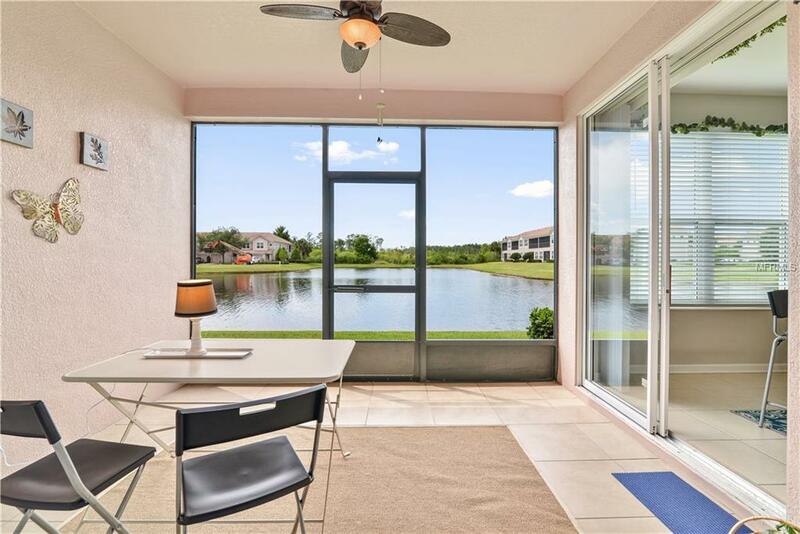 GROUND FLOOR condo has beautiful WATER views, SPLIT FLOOR PLAN for extra privacy, with 9ft ceilings, giving a very spacious feel. Many UPGRADES including CORIAN counters in kitchen, black & stainless appliances, upgraded MAPLE cabinets w/CROWN molding, NEW CEILING FANS, FRESHLY PAINTED INTERIOR, NEW LAMINATE flooring, NEW DINING AND NOOK LIGHT FIXTURES, PAINTED GARAGE FLOOR, upgraded 18 ceramic TILE, TILED LANAI, NEW SCREENS & DOUBLE PANE ENERGY EFFICIENT WINDOWS, A/C replaced in 2016. Enjoy sipping on your favorite beverage while relaxing in the SCREENED LANAI. Property has a HOME WARRANTY in effect until 10/11/2019. 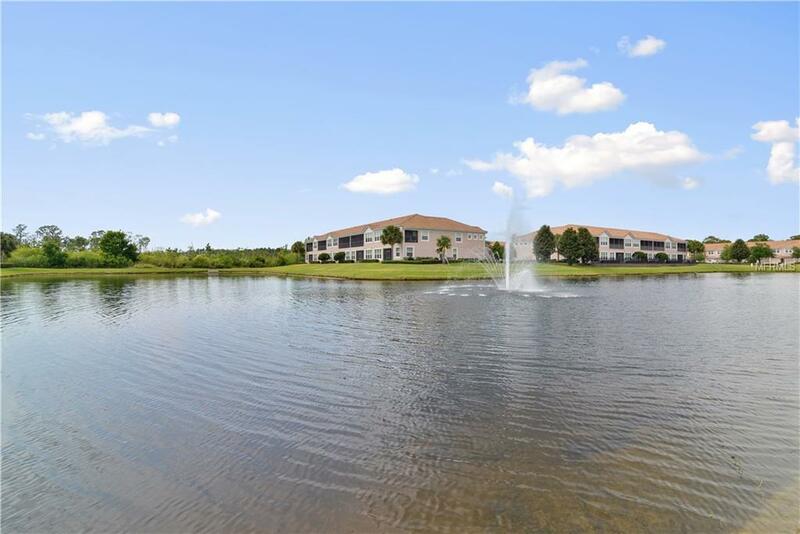 BellaTrae is a luxury, GATED, resort-style community. Includes beautiful architecture, and the private clubhouse. With amenities such as a billiard's room, wall street library, multipurpose space and fitness center. Outdoors you can take pleasure in Florida's year round sunshine at BellaTrae's HEATED pool/spa, TENNIS COURT, and PUTTING green. There is a full time Lifestyle director on site. BellaTrae offers GUARD-GATED privacy and low-maintenance living. Basic cable, internet, pest control, lawn care are included in the HOA fees. Come check out this beauty today! Furniture is available for purchase at an additional cost. Additional Lease Restrictions 7 Month Minimum. 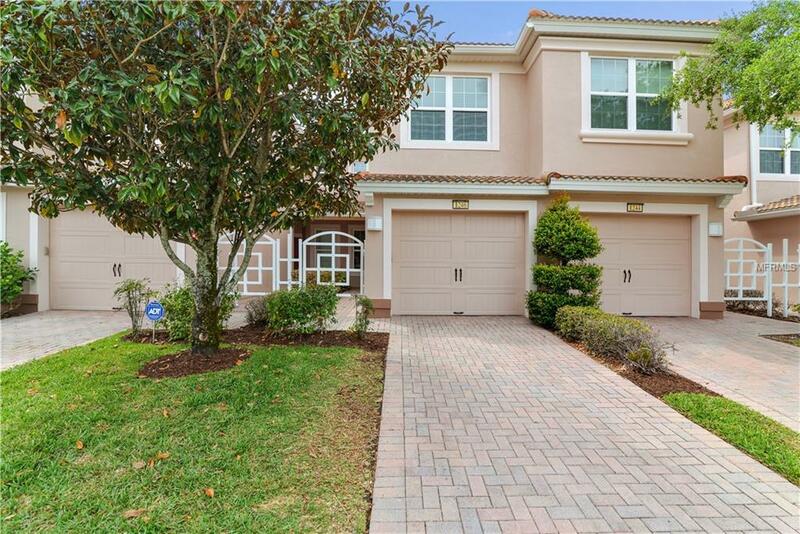 Listing provided courtesy of Bella Trae Realty.